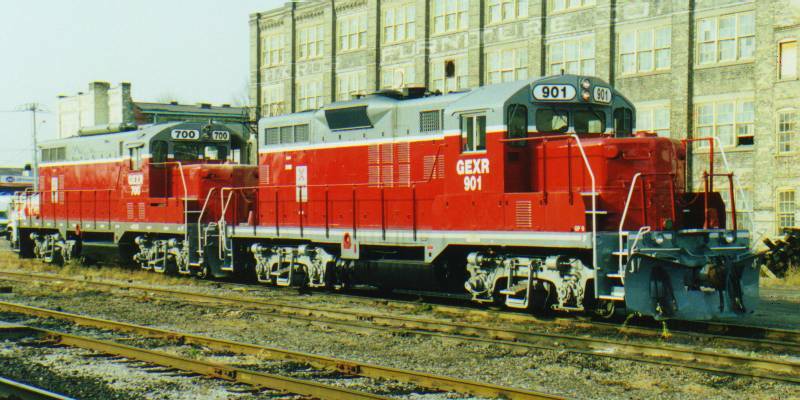 On November 15, 1998, Railtex subsidiary Goderich and Exeter Railway began operations on Canadian National's Guelph subdivision. 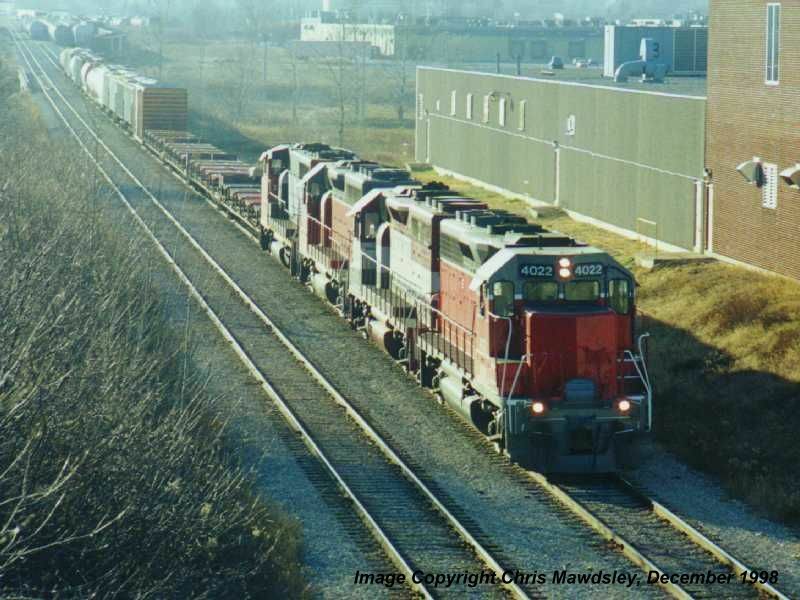 The line, stretching from London to Silver via Stratford, is leased from CN giving the GEXR a connection from its original line into MacMillan yard. 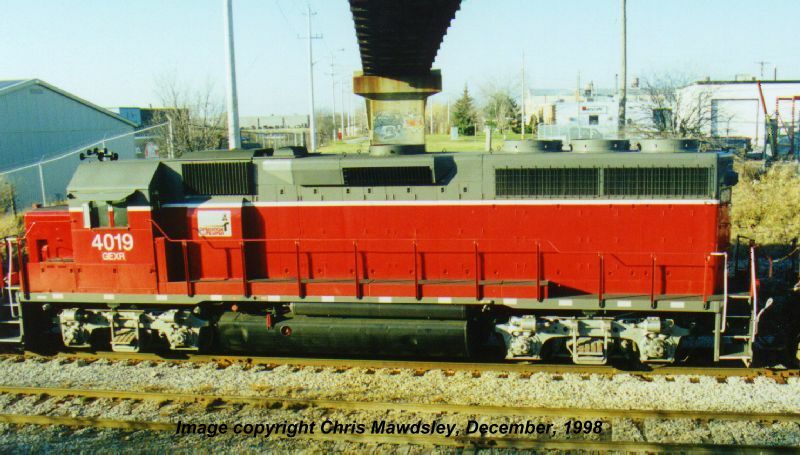 Here we see EB train 431 being assembled in Kitchener by the road engines - four GP-40s - on December 1, 1998. 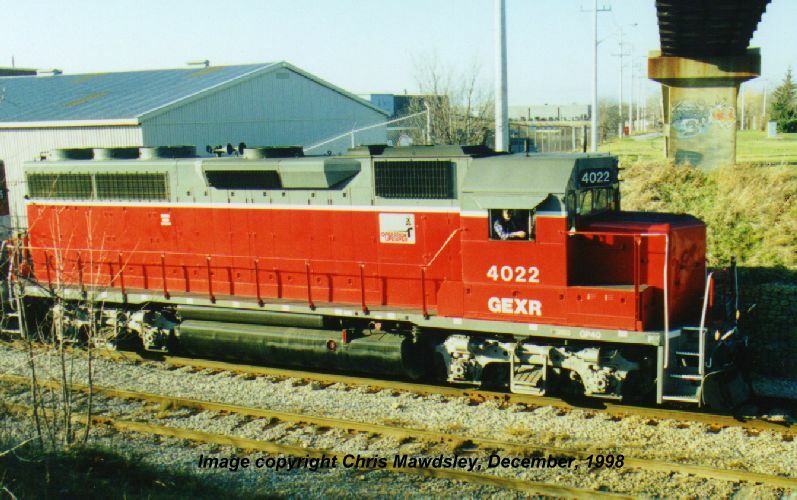 The train was led by GEXR 4022, EMD Leasing 205, GEXR 4019 and CN 9650. 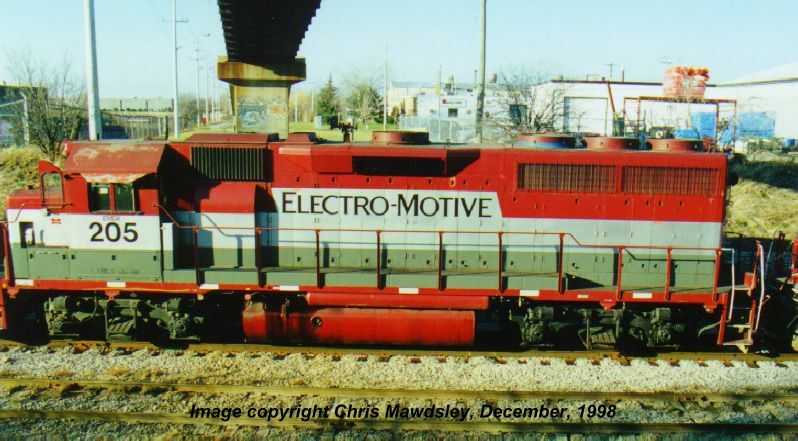 For a closer look, click on the thumbnails. 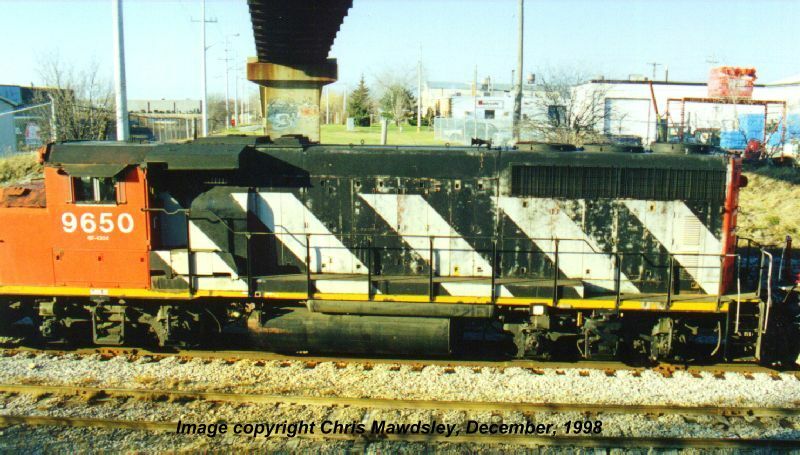 On November 30, 1998, GP-7 700 and GP-9 901 were on duty in Kitchener to handle the local switching.